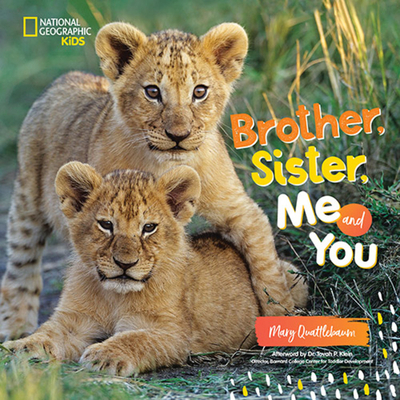 National Geographic Children's Books, 9781426332906, 32pp. Beyond cute, it's the perfect gift for little kids with a new brother or sister on the way -- and for animal lovers of all ages. An afterword by noted early child development expert Dr. Tovah P. Klein, called the "toddler whisperer" by Good Morning America, provides tips to parents for nurturing sibling harmony. Mary Quattlebaum loved playing pirates, reading ghost stories, and planting seeds in the family garden when she was a kid. And pirates, ghosts, and a garden are all featured in her books, which include Hero Dogs! : True Stories of Amazing Animal Heroes!, Jackson Jones and the Puddle of Thorns, and Jo MacDonald Hiked in the Woods. She is the author of 20 award-winning children's picture books, books of poetry, chapter books, and novels. Quattlebaum teaches in the Vermont College MFA program and at the Writer's Center in Bethesda, Maryland. She also regularly reviews children's books for The Washington Post.